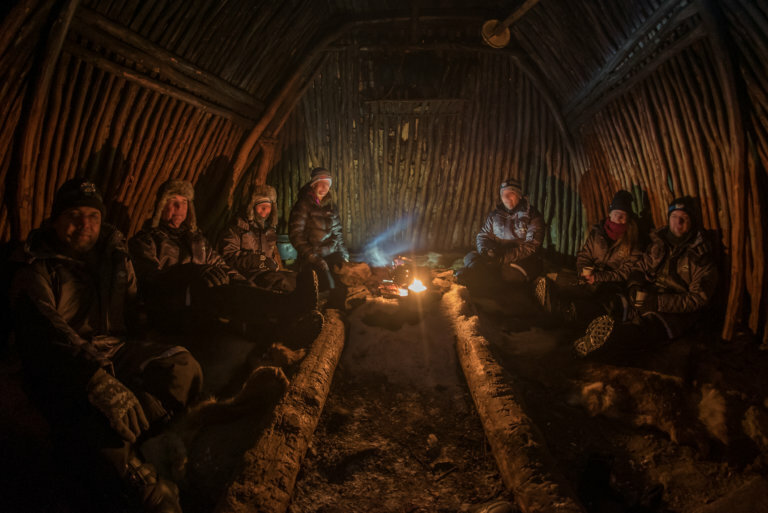 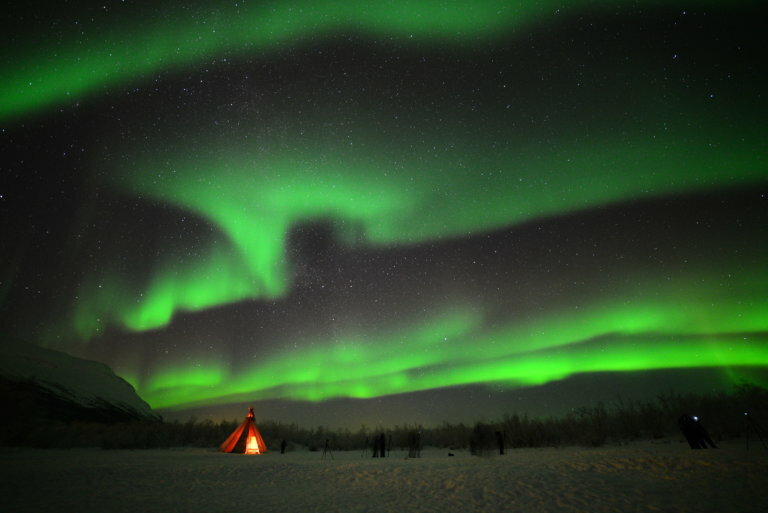 Head out into Abisko National Park with your professional photography guides with Lights Over Lapland. 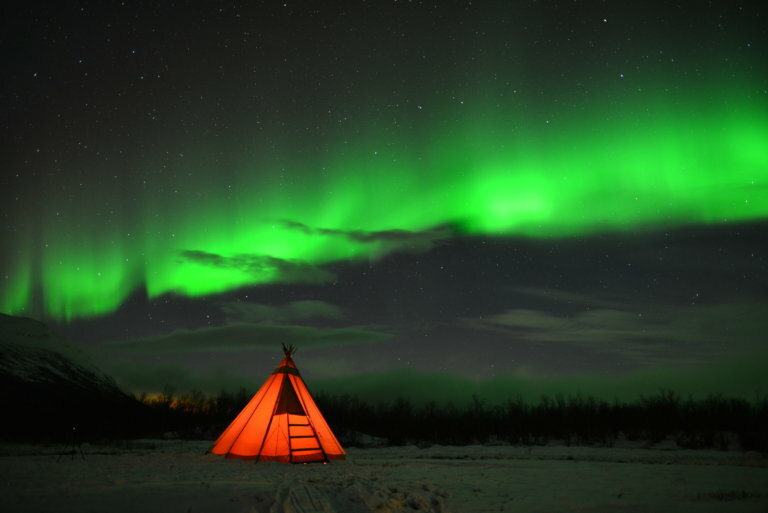 You will be given a talk to start your evening to tell you all about the Northern Lights and how they are captured on camera – often differently to what you can see in front of you! 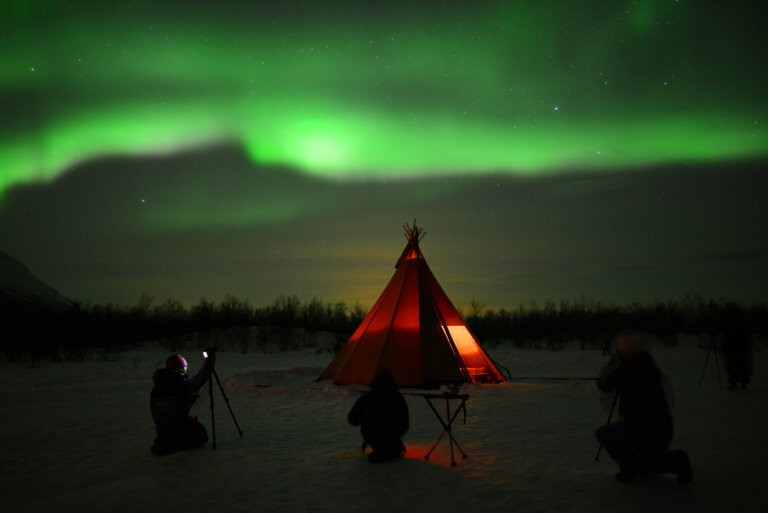 You will be given a camera and a tripod and you are ready to go! 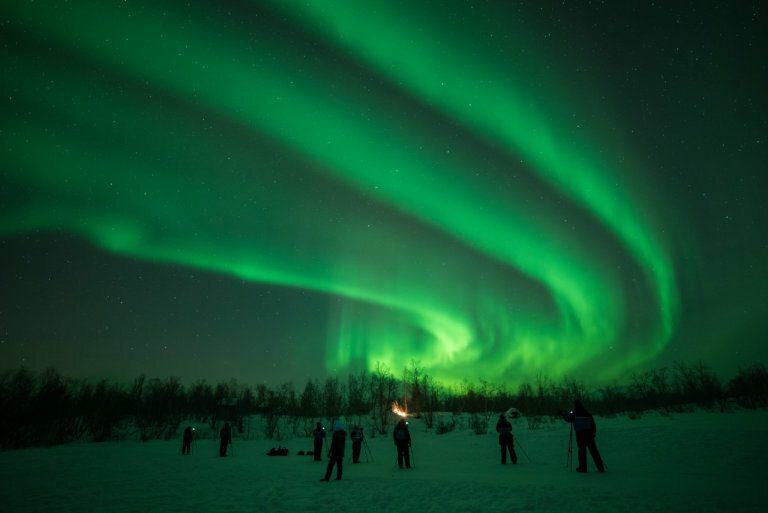 Your guides will then take you to some secluded areas within the National Park and you will learn how, with their help, to capture the Northern Lights on film to take home with you!